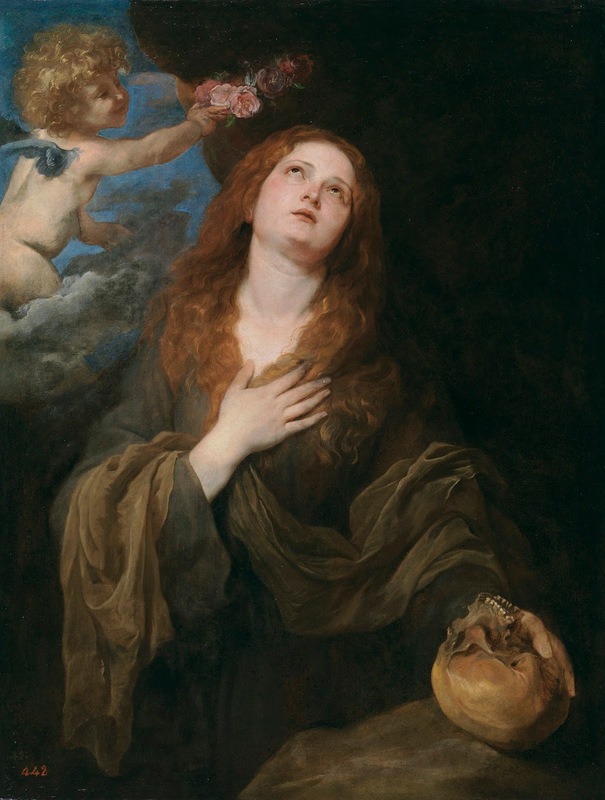 The Feast Day of Saint Rosalia is being celebrated today in Sicily, throughout the rest of Italy, in America, Venezuela and in many other countries. Saint Rosalia, also known as La Santuzza, or the Little Saint, is the patron saint of Palermo as well as three towns in Venezuela. Centuries after Rosalia’s death, the people of Palermo believed she ended the plague when what they thought were her remains were carried in a procession through the city. Rosalia was born in Palermo in about 1130 into a noble Norman family that claimed to descend from Charlemagne. She became devoutly religious and eventually went to live as a hermit in a cave on Mount Pellegrino in Sicily. There is a story that she was led by two angels to live in the cave and that she wrote on the wall that she had chosen to live there out of her love for Jesus. She is believed to have died in 1166 when she would have been about 36. In 1624 when Palermo was afflicted by the plague, Rosalia appeared first to a sick woman and then to a hunter to tell them where her remains were to be found. She told the hunter to bring her bones to Palermo to be carried in a procession through the city. The hunter found her bones in the place she had described to him and after they had been carried round Palermo three times the plague mercifully ended. Saint Rosalia was chosen to be the patron saint of Palermo and a sanctuary was built in the cave where her remains were discovered. Every year on September 4 it is traditional for people to walk barefoot from Palermo up to Mount Pellegrino. 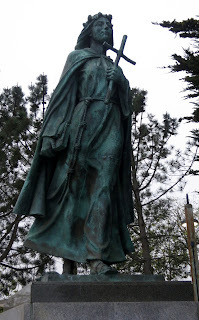 In the United States a feast is held on September 4 in Brooklyn in New York and there is a statue of Saint Rosalia in Monterey, California, where her feast is celebrated every year by Italian fishermen. Sicily is the largest island in the Mediterranean, just off the toe of Italy’s boot. The ancient ruins, diverse architecture and wonderful cuisine enjoyed by visitors are all testament to the island’s colourful history. Watching over the island is Mount Etna, a volcano that is still active. Palermo, the capital of Sicily, is a vibrant city with a wealth of beautiful architecture, plenty of shops and markets to browse in, and a large opera house, the Teatro Massimo, which is the biggest in Italy. The Santuario di Santa Rosalia stands at the top of Mount Pellegrino, which overlooks the city.